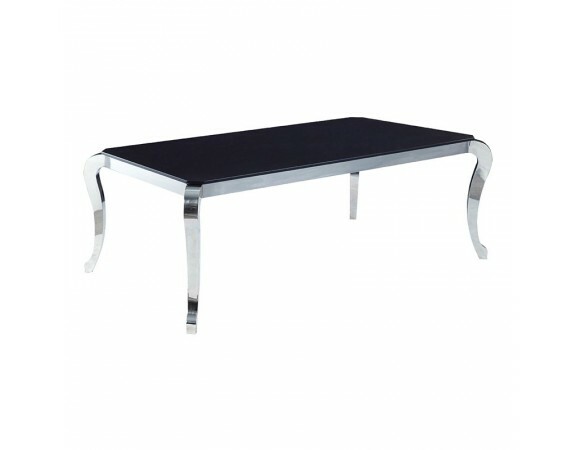 Stunning black marble top dining table. 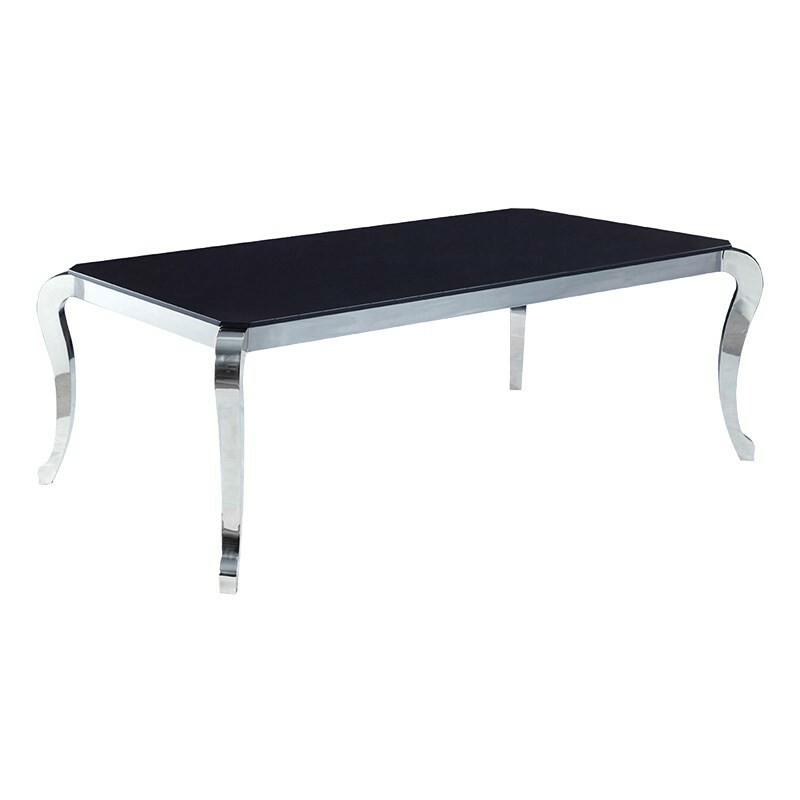 Delivered as one piece, this dining table is a truly fabulous addition to any modern kitchen or dining room space. Chrome legs and a black marble top looks stunning together. 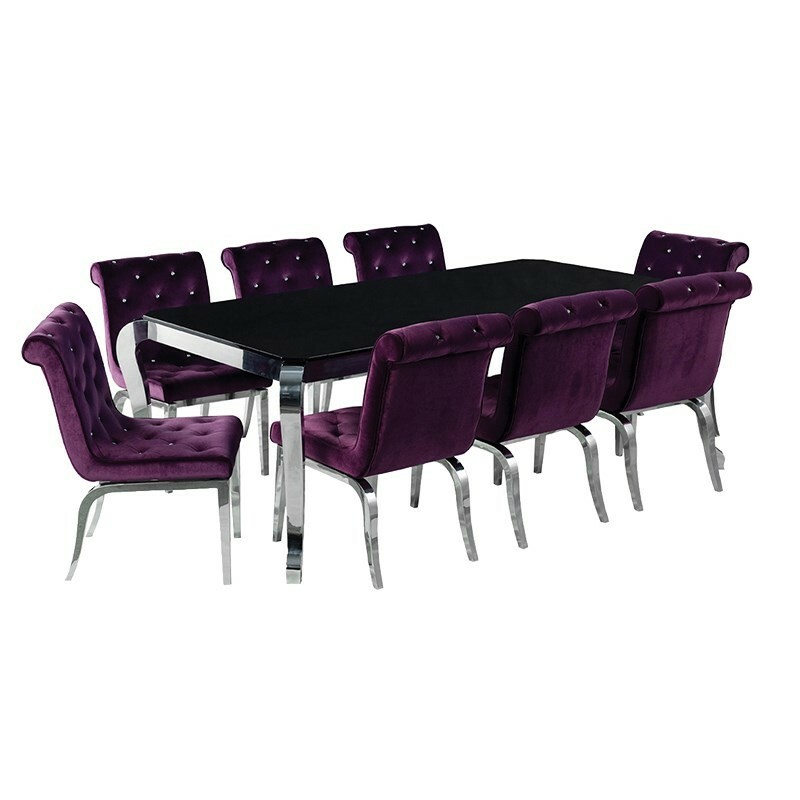 Add a little extra chic to this piece with matching chrome matching chairs with sumptuous velvet fabric.